Yossi Benayoun has completed a season-long loan move to Arsenal. 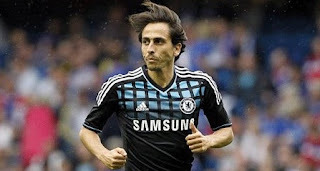 Israel captain Benayoun had been linked with a number of clubs but opted for the Gunners. Benayoun was never really in the plans of new boss Andre Villas-Boas and just hours before the end of the transfer window he found a new temporary home following a conversation with manager Arsene Wenger. Benayoun, who is currently on international duty, wrote on Twitter: "I sign with Arsenal, very happy and excited about it, but now my head is only in the game against Greece on Friday, thanks for the support." The 31-year-old had seen just one minute of action this season and was restricted to 10 appearances for the club in 2010/11 due to an Achilles injury, which kept him out for six months.